Landlords and tenants may come head-to-head in property disputes when an occupant breaks the rules of an their lease agreement. Knowing how to navigate a potential breach of lease is important for landlords when dealing with tenant issues. What is Breach of Lease? A real estate lease is a contract that outlines the landlord and tenant’s responsibilities regarding the occupancy of the property. Tenants are obligated to follow the rules of a lease agreement or the landlord has just cause to terminate the lease and evict them. A breach of lease is when activities occur that violate the terms of the lease agreement. Here are 3 tips for landlords experiencing issues with tenants. Tenant’s failure to perform a contractually-obligated duty. Tenant’s refusal to perform a contractually-obligated duty in the future. Tenant is impeding the landlord’s ability to perform duties. Landlords frequently take action without being informed of the necessary legal steps to enforce their rights. Making a mistake in the beginning can have costly consequences. For this reason, consider consulting a legal expert for help prior to taking action. 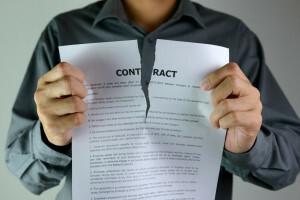 If you decide to terminate a tenant’s lease, it must be done correctly. If you fail to follow the necessary steps correctly evicting your tenant could be very costly and significantly delayed. Identifying the violation, seeking advice and giving the tenant proper notice for eviction are all good tips for landlords considering how to remedy a breach of lease. For more help with real estate transactions or if you’re experiencing a tenant breach of lease, contact your team at Structure Law Group or call 408-441-7500 today.